The Onna Bugeisha tour follows the debut album release from Arma Del Amor on Friday, May 11. 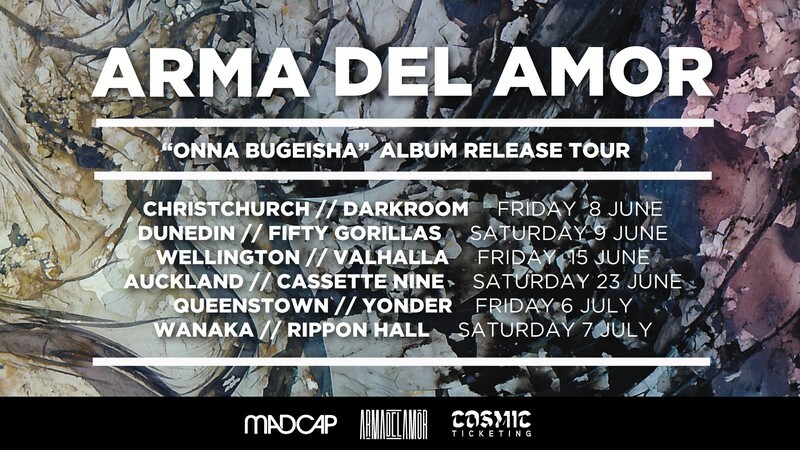 Join us across any one of the six tour dates in New Zealand, as Arma Del Amor perform their meticulously crafted live shows to connect with you in an intimate environment. Martine Harding and Danny Fairley, connected over their love of electronic music, and collaborated their talents to create a sound that resonates from within. The band began in 2013 and has since seen the release of two Digital EPs, countless live shows and appearances around New Zealand. Arma Del Amor perform as an impressive three-piece band with their drummer, Ricky Simmonds.